With school back in and Labor Day just around the corner, I can’t help but get a little excited for the cooler temps and warmer colors that Fall brings. 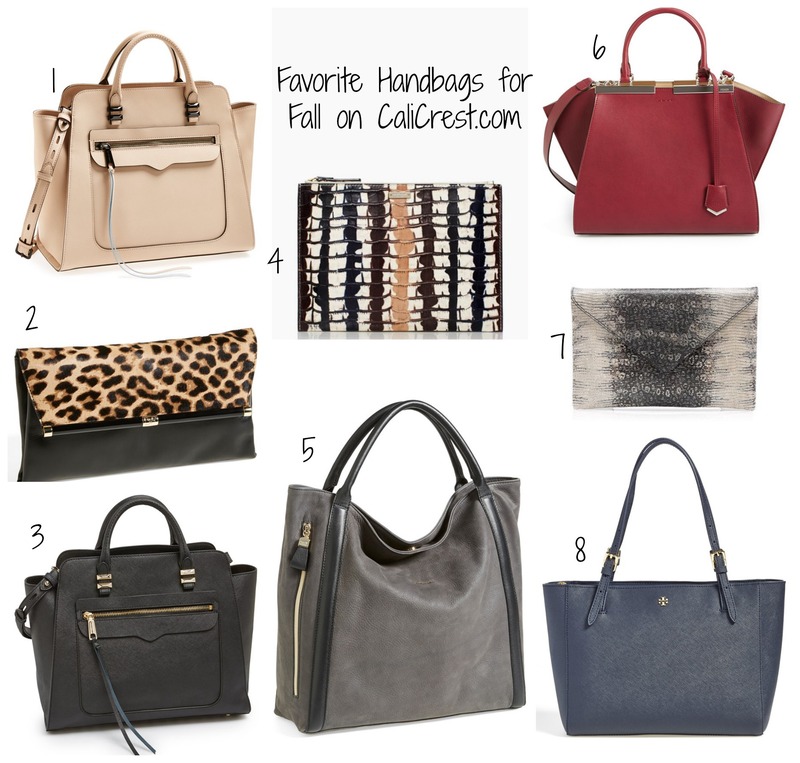 Here are a few of my favorite bags that I’m obsessing over for the Fall season. Hope you’re having a great week, thanks for reading! With the first week of school under our belt I’m hoping our routine becomes a little easier to follow. It’s always a rude awakening going from sleeping in, playing all day, and staying up late to alarms going off early, a busy routine, sports every night, and lots of homework. I’ve kinda been MIA when it comes to my blog but with the kids back on their routine I can be back on mine. Today I want to share an easy go-to outfit you can throw on without putting too much thought or effort into it and still manage to look put together. When it’s hot out and I’m not in the mood for jeans I pull out a maxi skirt. I love pairing it with a basic t-shirt or a blouse and a little jewelry. Hopefully I can stay on track and be consistent with my blogging. Thanks for reading, hope you have a great week! This is the last week of Summer for my kids so we’re going to be busy getting ready for school to start up. 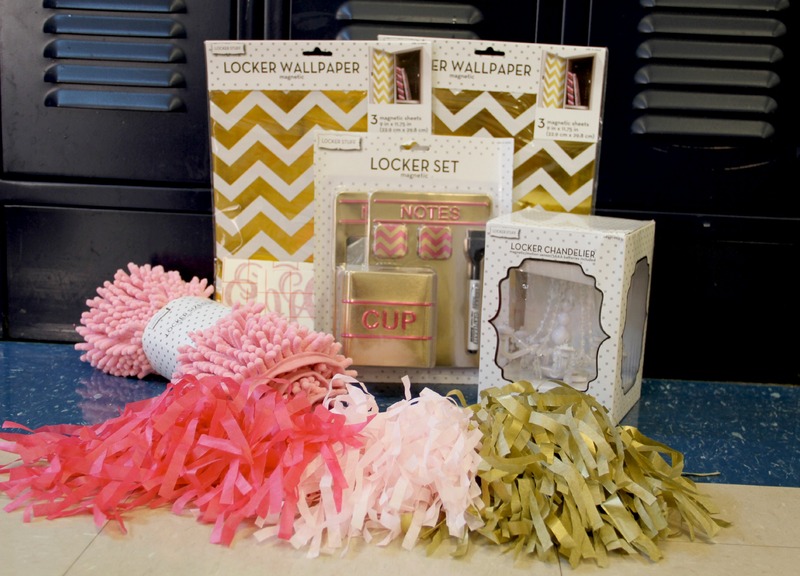 Today we went to Elle’s Middle School to decorate her locker. 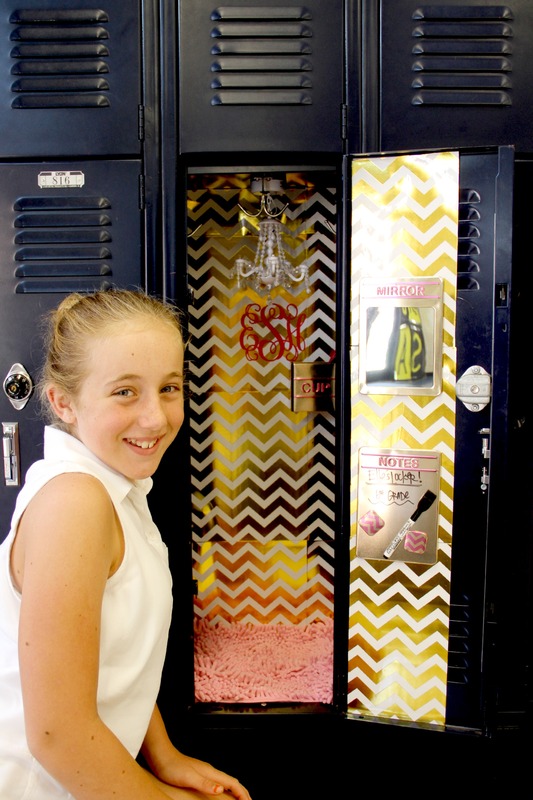 Apparently this is a big thing for Middle School girls, who knew? We had fun picking out some cute wallpaper (it’s magnetic so it won’t ruin school property), we also picked out a rug, a chandelier, a few accessories, and even a monogram to glam it up. Everything was purchased at Target expect for the Monogram, we found that on ETSY. It was super easy, inexpensive, and so much fun to do together! Thanks for stopping by, I hope you’ll check back for some cute back to school outfit inspiration this week!